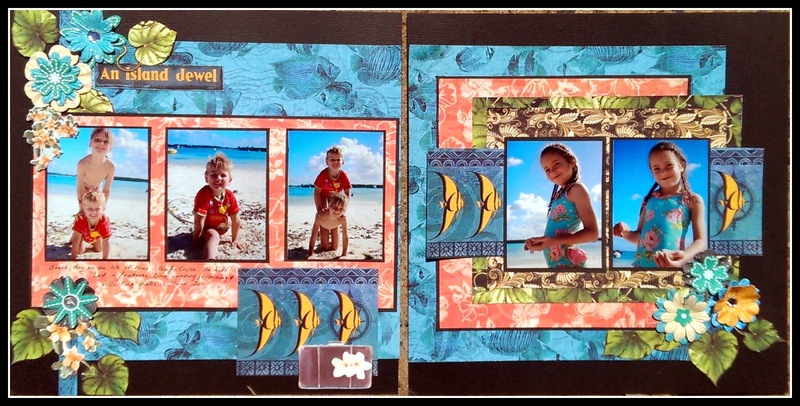 This set of photos from a Pacific cruise back in 2011 were the first set of photos I ever scrapbooked.... and, like most first albums it was rather terrible. Having recently got hold of the full G45 tropical travelogue collection I wanted to use it to make a nice album for these gorgeous pictures. I couldnt find a double page sketch which worked so I decided to match up two single page challenges. To coordinate both sketches I added a sheet of the blue fish in the background. Below are both single pages. The photos are from the main beach over at Isle of pines! Wow interesting interpretation of two sketches and turning them into double pagers! You did awesome job! Gorgeous double pagers! 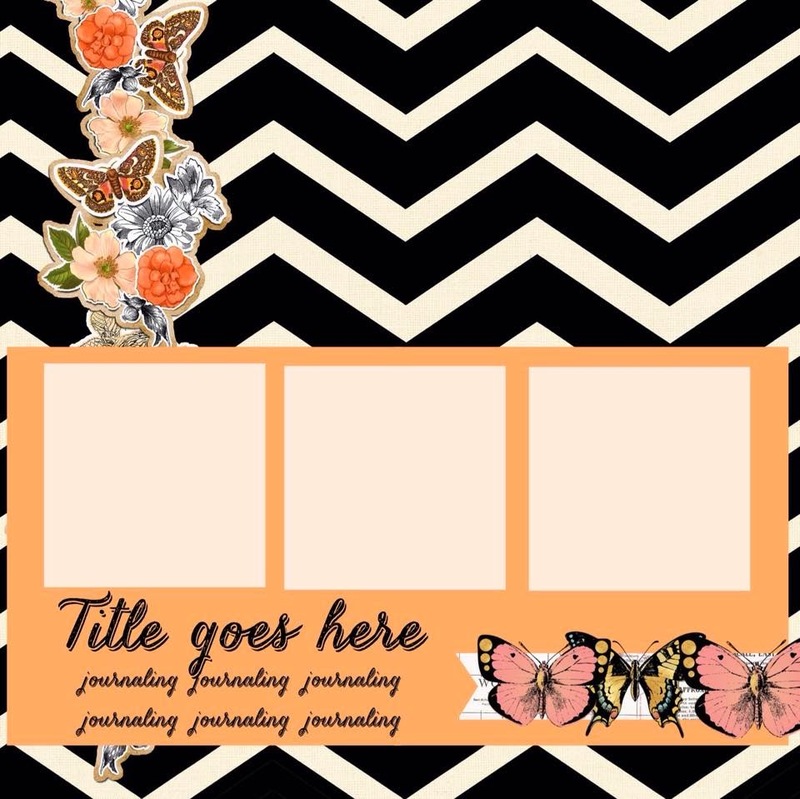 Lovely paper choices! Lovely angel fish additions! Thank you for linking up at ScrapMuch?! I love your 2 pager and you used that paper well. Thanks for playing along with us at Stick it Down. Wonderful pages. Thanks for playing at SID. 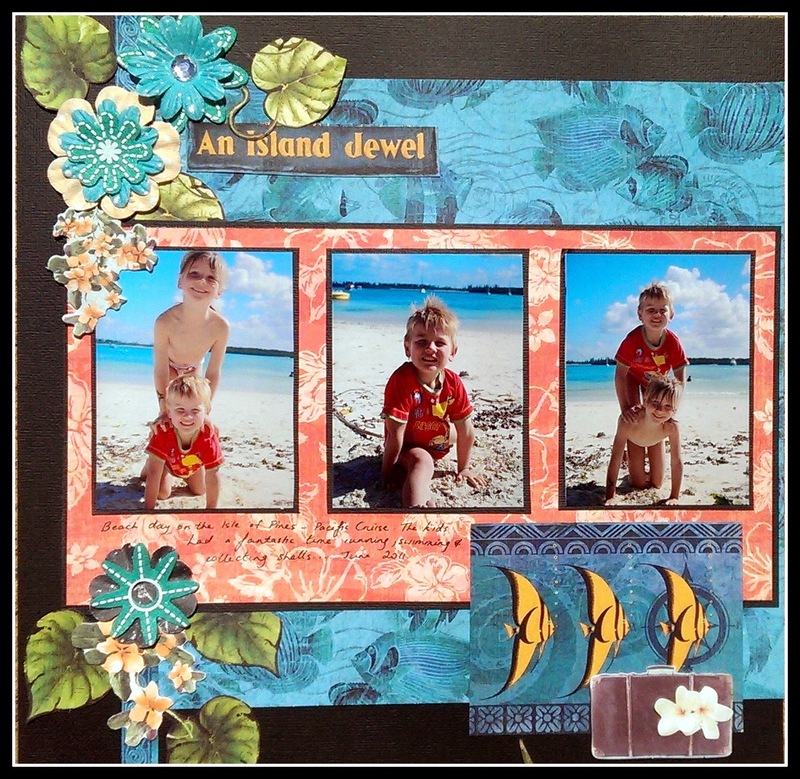 Both layouts are just fabulous....the papers match your adorable photos perfectly!!! 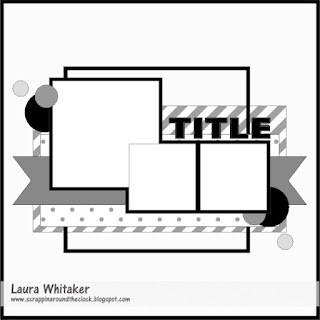 Awesome job of finding two sketches to make a double layout! Thanks for playing along with ScrapMuch?! Beautiful layout, looks like the kids were having an awesome time. Thanks for joining us at Scrap Much?! So pretty - great take on the sketch and making it your own. Thank you joining us at ScrapMuch? Wonderful! Thanks for joining us at Stick it Down! This is gorgeous!! Thanks for sharing with us at Stick it Down! great pages, love the way you combined the two sketches into a double pager! Thanks so much for joining us at ScrapMuch?! I love how you combined the two sketches! Nice work! Thanks for sharing with us at ScrapMuch? Wonderful page....thanks for joining us at Stick it Down. Wow what a great idea taking two sketches and creating a double layout. Awesome take on both sketches. Thanks so much for joining us at Stick it Down. Great layouts! I love how you used two different sketches to create one two-page layout. The flowers you added are the perfect touch! Thanks for joining us at Stick It Down! What a great idea to combine the sketches to meet your needs. I am full of envy of your acquisition of Tropical Travelogue! You blended the 2 sketches well. The papers are perfect. The fussy cutting again is amazing. Gorgeous.Thanks for sharing with us at ScrapMuch? How wonderful...2 sketches--a cool double! 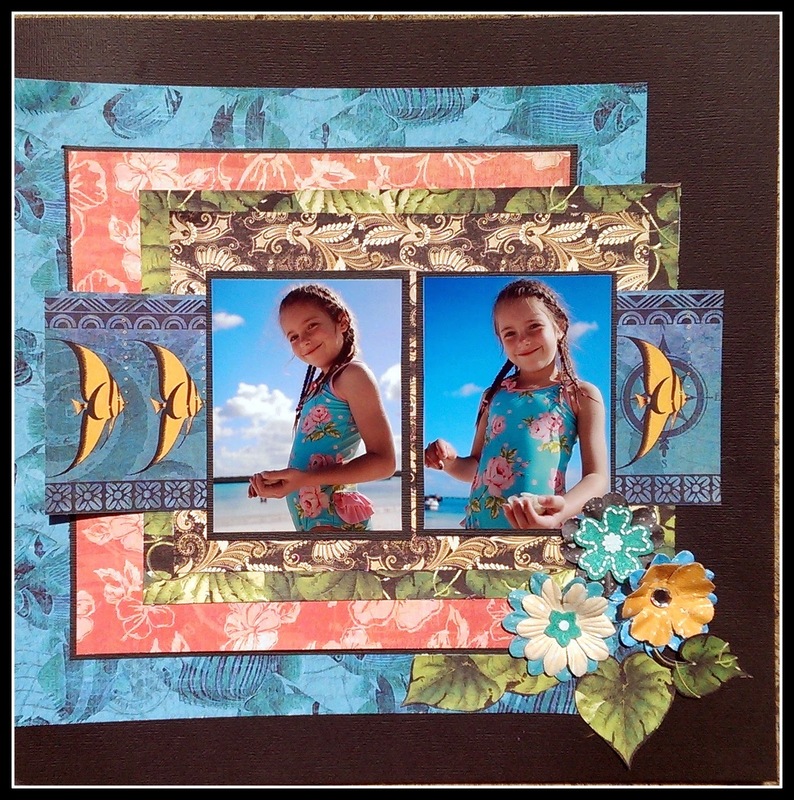 Your paper just makes those photos pop with that blue...Thanks for sharing this at STICK IT DOWN!